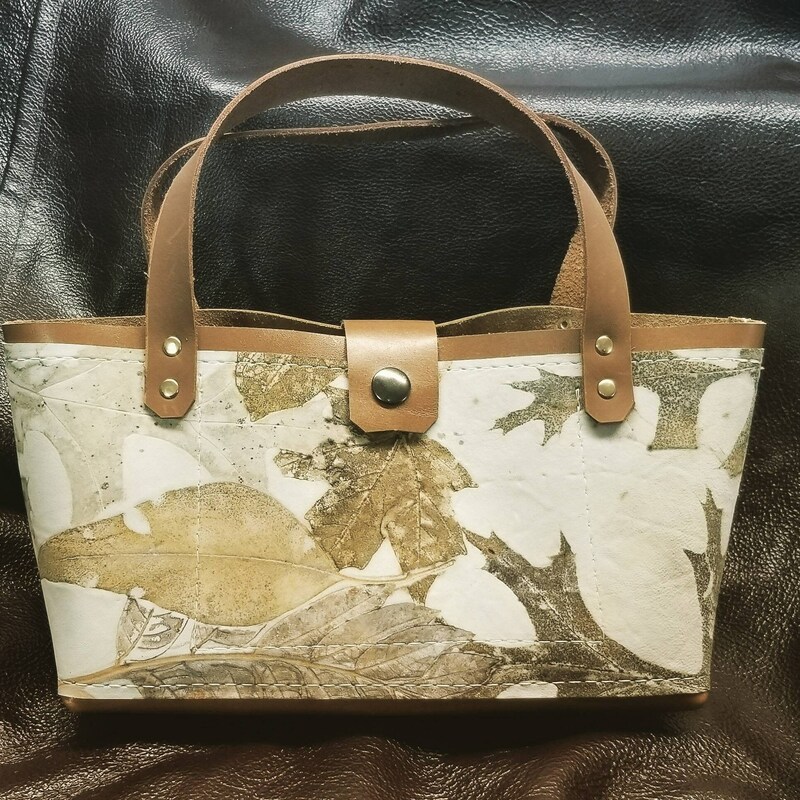 This beautiful handbag showcases my ecoprinted design on the front, showcasing the gorgeous Latte brown leather of the bag. The bag itself is 7" high x 10" wide by 3" deep, a perfect size for a quick outing! Handcrafted by me and finished with stylish brass rivets and a snap closure. There is a small leather inside front pocket.